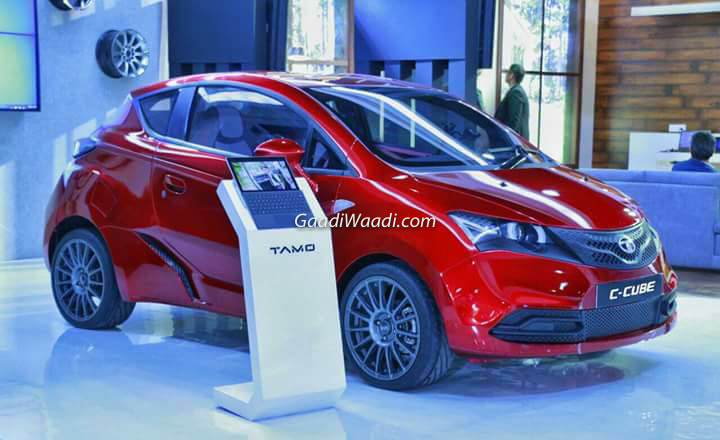 Tata Motors has been on a roll lately with the introduction of a new sub-brand called TaMo and the subsequent partnership covering various fields of development with Microsoft Corporation. The synergy is in a bid to revolutionise connectivity features for new-age customers with optimum efficiency, more in-car technologies and smart mobility capabilities. Demonstrating these features, the C-Cube Concept has officially been revealed at the 2017 Future Decoded event, a digital transformation show hosted by Microsoft, in Mumbai. The pictures do reveal a subtle concept with futuristic approach to design language we so far have not seen from the home-grown brand. Of course the latest IMPACT design philosophy is a major difference maker but the C-Cube Concept has upped it by several notches. 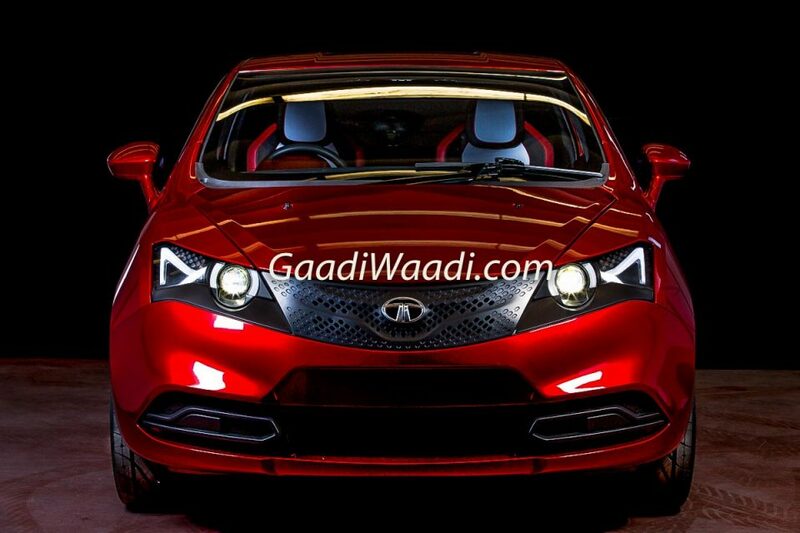 It has an angular grille with dual U-shaped chrome strips housing the signature Tata badge. 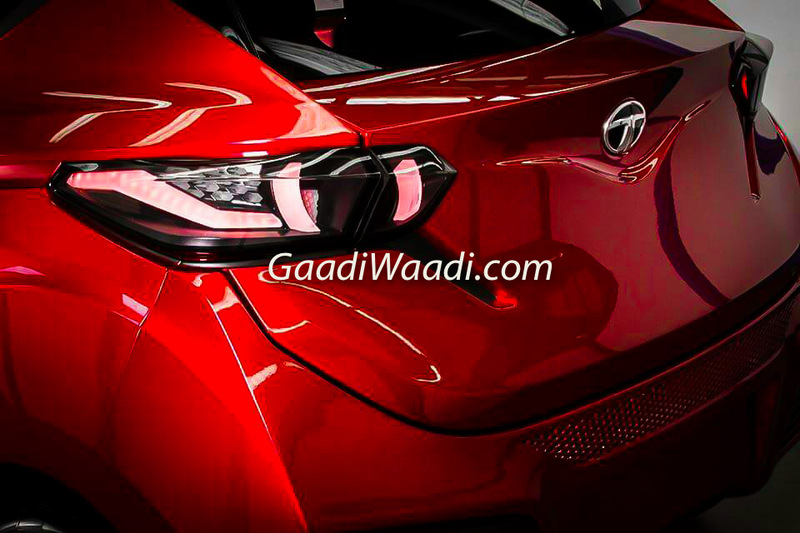 The red metallic paint job is all glossy and accentuates the presence of the two-door sporty hatchback. 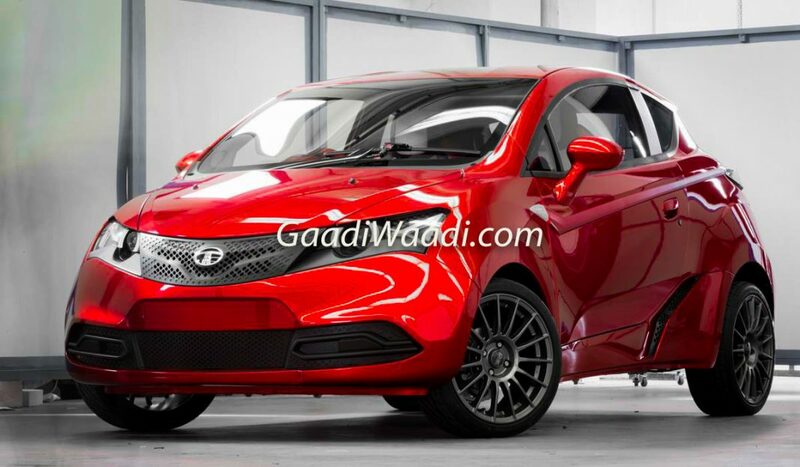 It boasts an aggressive front bumper with large air dams multiplying the sporty demeanour. The round-shaped projector headlamps allow for LED guide strips and when viewed from the front the raised bonnet lines do appear muscular and blend well into the grille assembly. In short, the two-seater hot-hatch alike C-Cube Concept looks like a flamboyant version of the conventional Tiago with similar silhouette. It gets smoked out alloy wheels, a flowing side profile, gaps ahead of the rear wheels for efficient aerodynamics and a sleek rear profile replicating European hatchbacks. 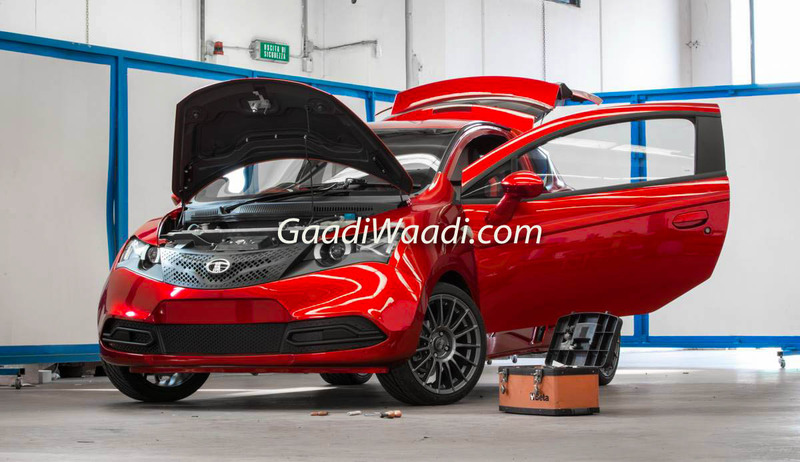 What lies underneath the smooth and clean futuristic bodywork is yet to be seen as the mechanical bits employed in the C-Cube Concept are not revealed by Tata. 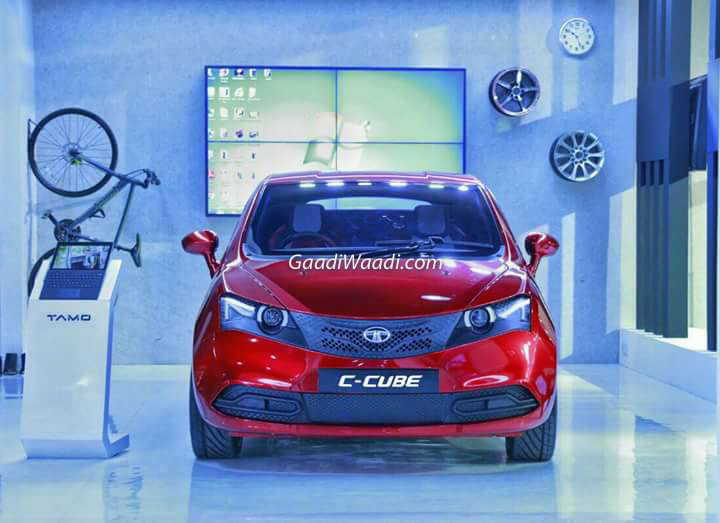 The C-Cube could give rise to a production premium hatchback from Tata that could rival big players like Maruti Suzuki Baleno, Hyundai Elite i20 and Honda Jazz. Proportionally, based on the same platform, it seems to have a tightly packed rear section with emphasis on trunk capacity and room for second row seat’s occupants despite having a sporty profile. The tail lights appears to have taken design cues from Range Rover Evoque. One can’t help but think that the premium hatchback could make way for a hotter version with a performance-packed engine, range of customisation options and perhaps a Tamo badge to price it with a higher premium than its regular sibling. Thus far, Tata has kept us guessing for good with the nimble attire of the C-Cube. Tata is banking big on the Futuro sportscar concept that will be officially unveiled on March 7 at the 2017 Geneva Motor Show. It gets power from a turbocharged Revotron engine likely to churn out close to 180 horsepower. It will have design cues inspired from some of erstwhile sportscars like Opel Roadster and the mid-engined configuration meant that a lightweight chassis and diligent weight distribution will be significant for its performance. It is believed to launch in the domestic market sometime during the middle parts of next year. 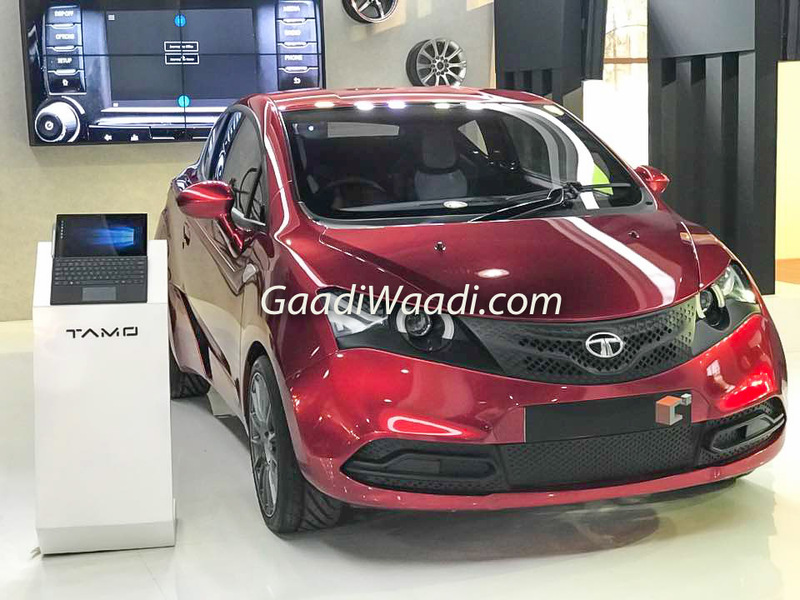 Tata Motors will use the opportunity with Microsoft for developing connected vehicle technologies that go as far as putting emphasise on high-tech machine learning, artificial intelligence (AI) and Internet of Things (IoT) on global Azure cloud. It will help in linking the modern digital world and physical environment for a sophisticated personalised interaction enabling safer and smarter driving experience. It happens through Tata’s user interface application and services enabling navigation, maintenance, telematics and remote monitoring with Microsoft functionality.